Company Industry: Title and Escrow Co. 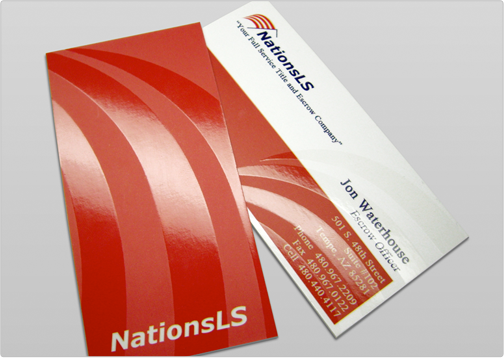 The NationsLS business card is a slim cut business card which includes a coat of double sided spot gloss highlights. The structure of the cards design and the simplistic color palette of of red and blue provides an extremely professional, yet modern brand.